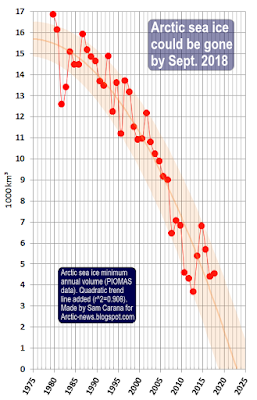 The image below is an animation of sea ice thickness, from the Naval Research Laboratory. 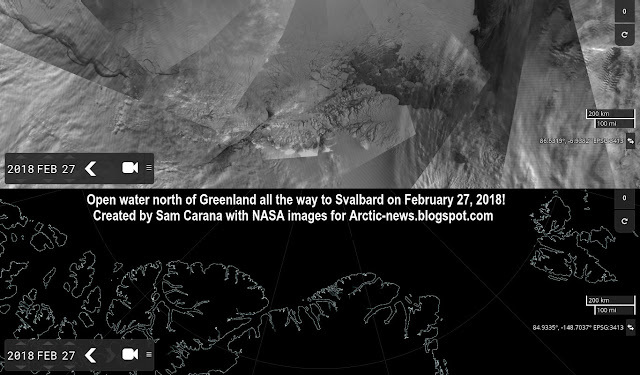 Zero sea ice volume is within the margins of the trend depicted on the image above on the right. 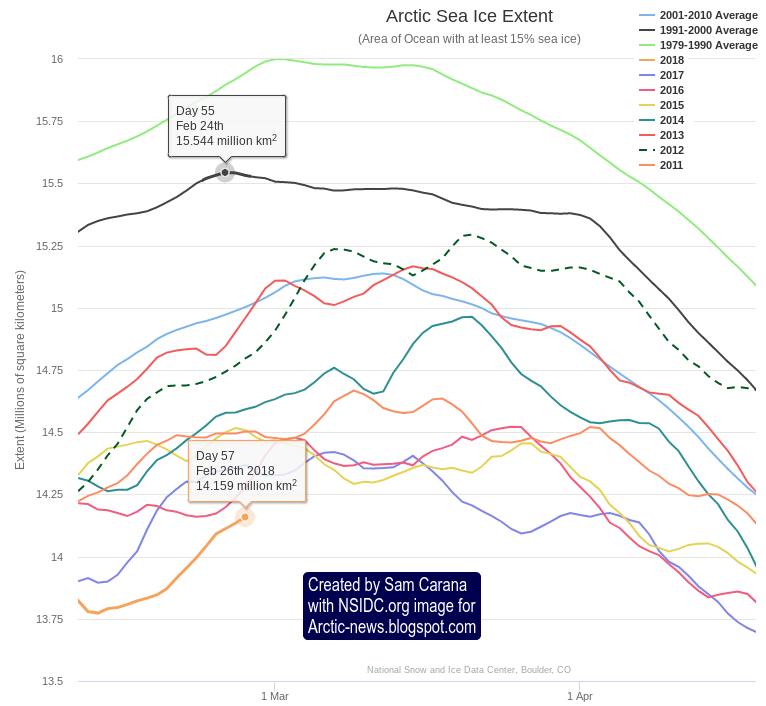 Disappearance of the sea ice also means loss of the buffer that until now has consumed huge amounts of heat. 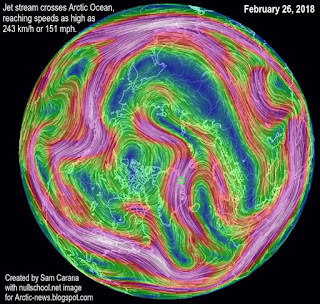 Here's another warning sign. 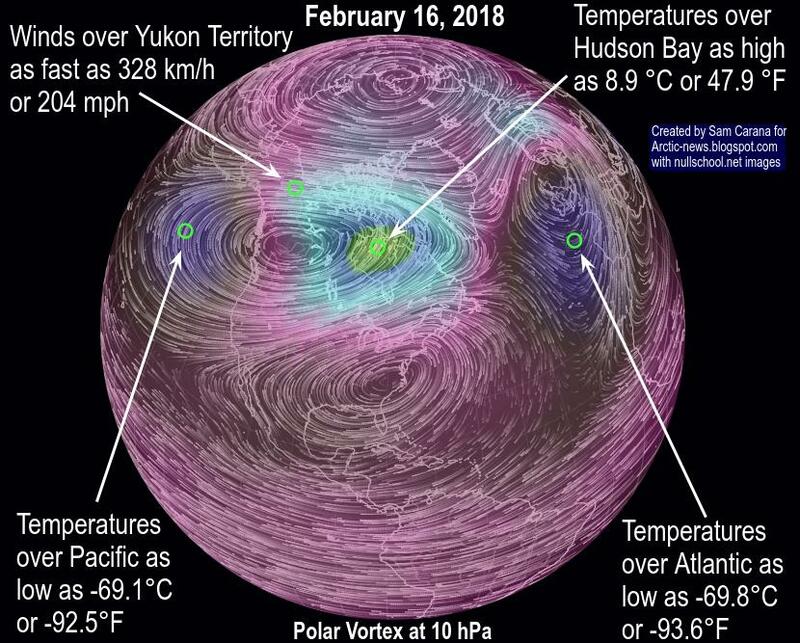 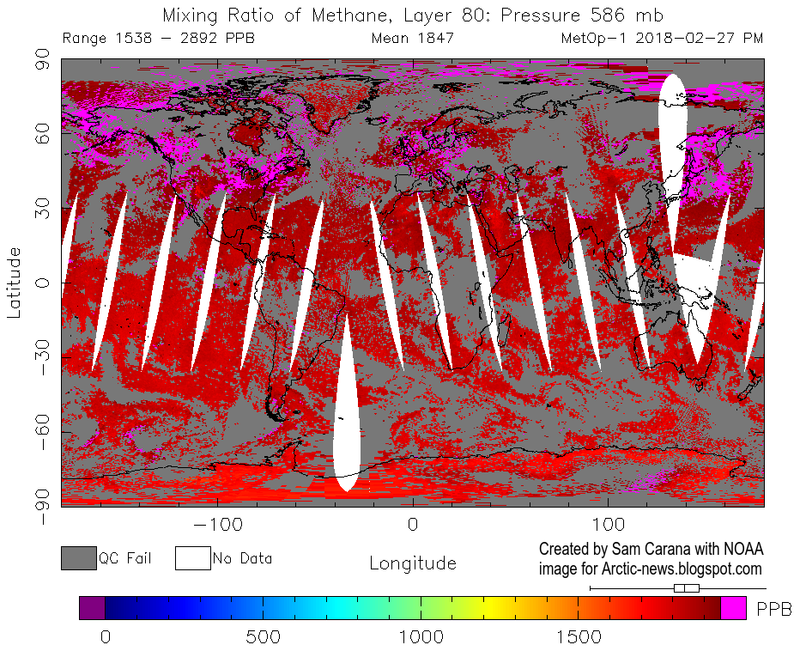 High methane releases followed this chain of events on February 27, 2018, pm, likely originating from the seafloor of the East Siberian Arctic Shelf (ESAS). 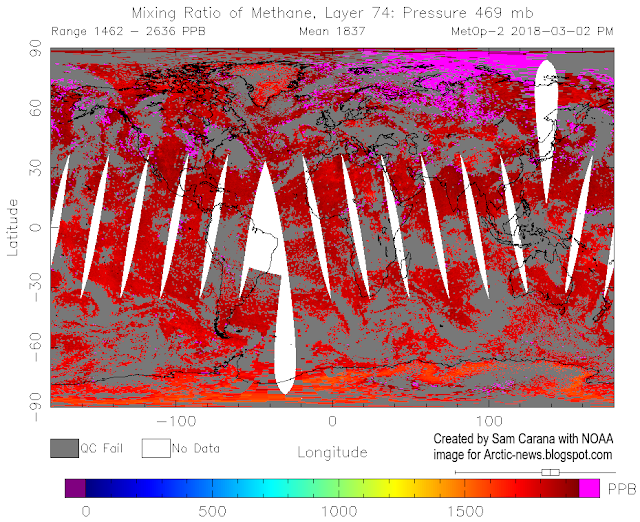 As the image below illustrates, methane levels were again very high over the ESAS the next day, i.e. 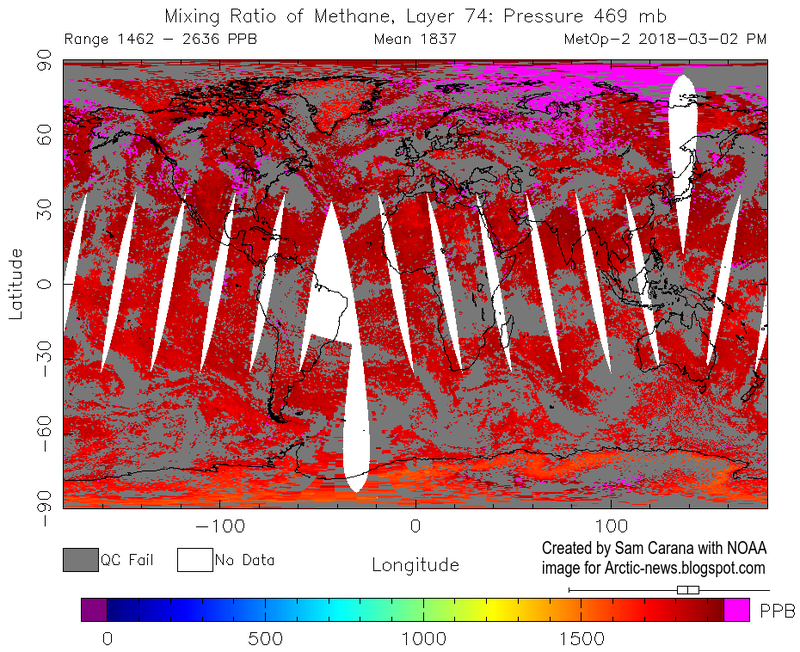 March 2, 2018, confirming earlier indications that this is where the very high methane releases did occur. 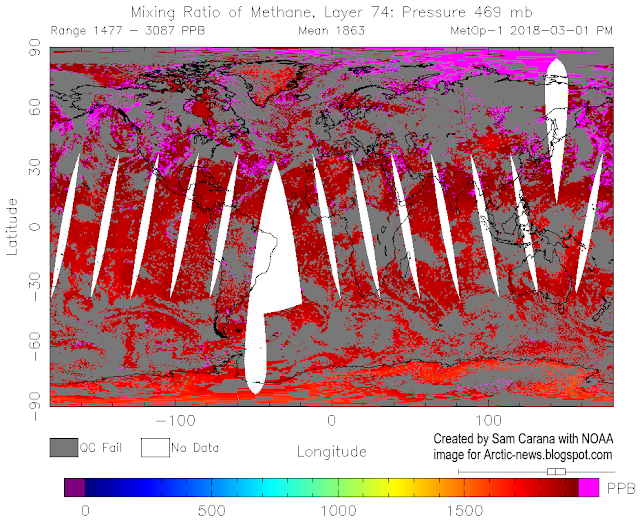 An earlier analysis calculated that seafloor methane could cause a warming of 1.1°C within one decade. 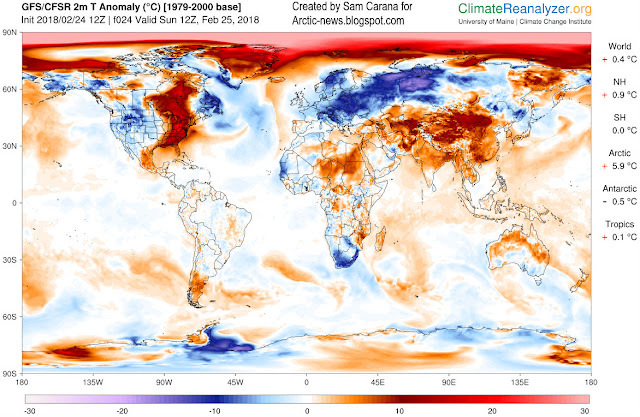 Given a possible additional warming of 2.7°C due to just two elements (i.e. 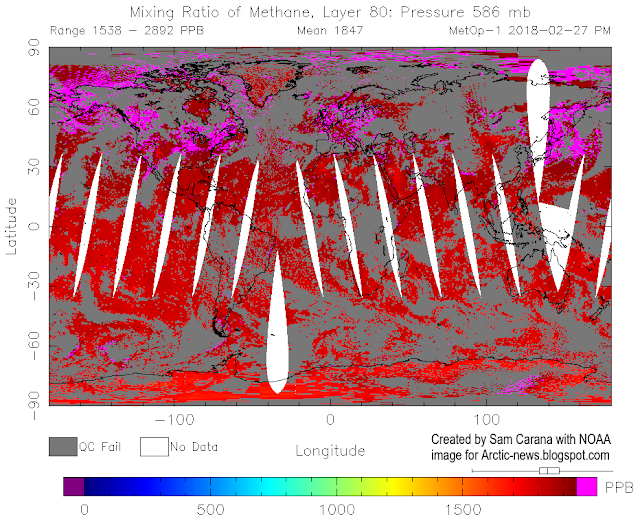 Arctic albedo changes and associated changes, and seafloor methane), an further warming of 2.1°C due to extra water vapor in the warmer atmosphere does seem well possible within a decade. Add up the impact of all warming elements of this analysis and the rise in mean global temperatures from preindustrial could be more than 10°C within one decade, as illustrated by the images below. The Arctic is warming up more than twice as fast as the rest of the world, due to numerous feedbacks. 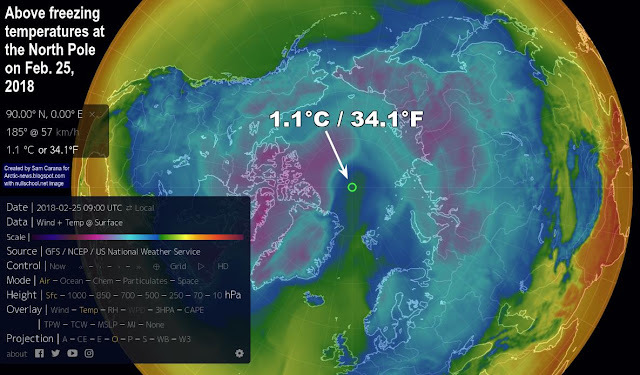 At times, large areas over the Arctic Ocean can become 30°C or 54°F warmer than 1979-2000. 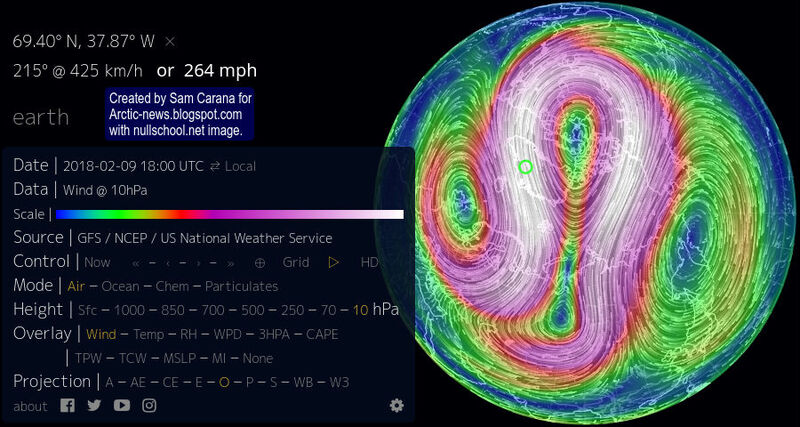 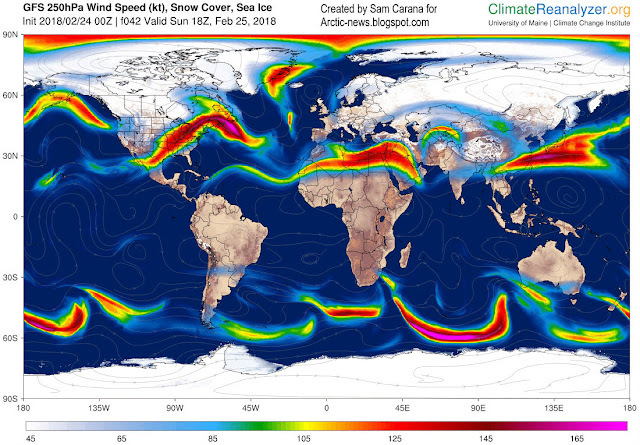 Changes to the jet stream are behind this extreme situation.